Grocery shopping online is pretty common nowadays, but not many online grocers sell and deliver fresh produce right to your doorstep. Recently though, I was glad to find out about SGVegetables and they do just that! 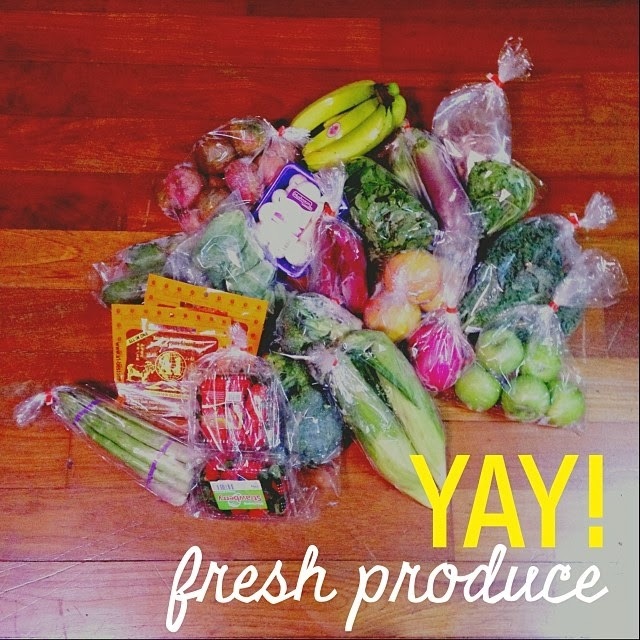 I got the opportunity to check out the entire shopping experience with SGVegetables, and I'm so glad they exist! With the recent rainy days, it's definitely not easy to head out for grocery shopping. With SGVegetables I don't have to worry about carrying heavy loads in the rain (such a hassle cos we don't drive) and I can still get what I want with their wide selection of vegetables and fruits. There's more as SGVegetables also has a selection of Yong Tau Foo (Beancurd), Dried Products and even Meat. They also do sell by bulk, which is great if you're having a big party or a cookout. The different categories are pretty self-explanatory and the entire site is easy to navigate around with useful sub-sections within each category. 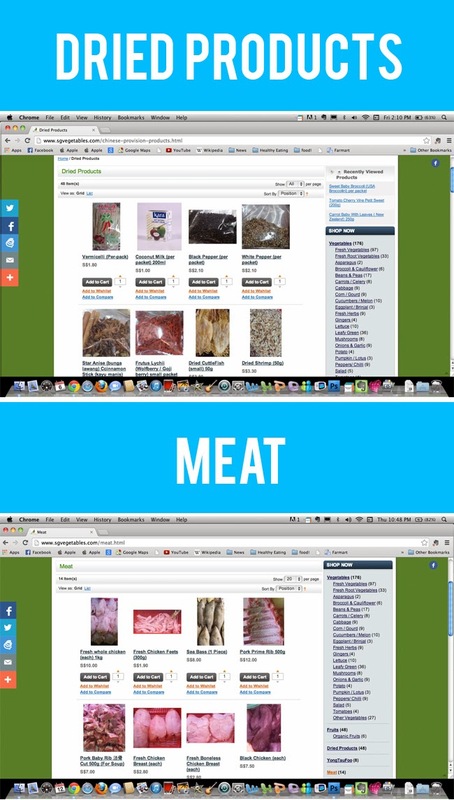 Besides that, they also list new products on their homepage. I liked that the site gave me the to option to view all the products at one go, which is just the way I like to shop. Also, I really liked the extensive selection of vegetables from those used in usual Chinese stir-fry recipes to vegetables like kale and beetroot that are more commonly used in Western cooking. I was also happy to see organic fruit options! If you are a frequent reader or a close friend you would know that I like to feed Kaitlin organic food items that are reasonably priced. Especially so for fruits or veggies that fall under the dirty dozen list like apples. With that said, it would be great to see more organic produce options. I was excited to see some of the vegetable and fruit options like broccolini and blackberries and had wanted to order them, but I guess they were popular items so some of them was out of stock. I actually waited a day in between to see if the items were back in stock but they weren't. I'm not sure why but perhaps they really did not have stock or the site was not updated so I added them to 'My Wishlist' instead. It's an option made available to customers and it's great for me as I can select items that are currently out of stock but that I wish to order in future. Check out was a breeze and an immediate confirmation was also sent to my email. Whilst checking out, I was able to choose the day/time of delivery and mode of payment. 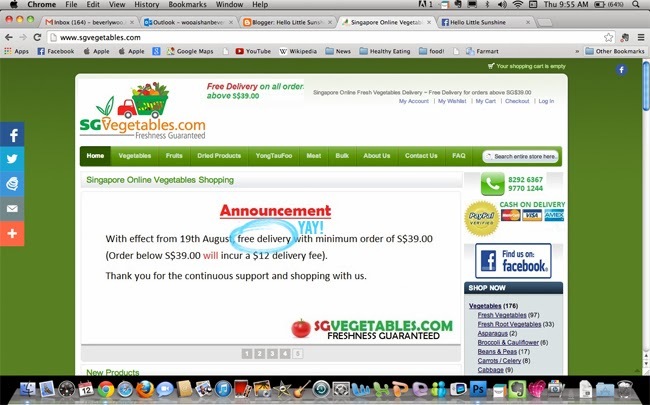 As SGVegetables does not import vegetables on Sunday night, do note that they generally do not do delivery on Mondays. This is to ensure that produce delivered is fresh. Should you need an urgent delivery you are still able to email or call them, and subject to stock availability it might be possible to get what you need in a matter of few hours. Free delivery is available on orders above SGD$39 and anything below that would require you to pay a delivery charge of SGD$12. Great news is that SGVegetables does not charge GST as they absorb all GST. So after I made my order (in the comfort of my room while I multi-tasked watching Kaitlin nap! ), all I really had to do was wait for my order to arrive. Delivery arrived on time and I was so happy to see the items all nicely packed! They were also sweet to add in a few additional items, and no they weren't items that were about to spoil or in bad condition. In fact, the complimentary bananas weren't even ripe yet. I also like that upon delivery I was informed that an item that I had ordered was out of stock and had been replaced with another vegetable. This meant that I wouldn't have to call and check what happened. If I had to be nitpicky, I would have preferred if they had called before delivery to inform and if possible that I could get a refund or choose another vegetable item that was of the same price or that I could top -up an amount for. In total only two items I ordered were out of stock and replaced. Nevertheless, since I'm not fussy about veggies, it was fine by me. Freshness wise, most of the produce delivered were pretty good. Except for certain items like the pre-packed mushrooms were starting to turn bad two days later, but that's how mushrooms are right? Also some of the passion fruits delivered were a little overwrinkled, but when opened they still tasted great. I would rate the freshness level of their fruits and vegetables 7/10. The big question though is whether I would order my vegetables from SGVegetables again..and the answer is YES! Honestly though, I much prefer to head to the wet market or supermarket to select the produce myself cos I'm particular like that. However, in situations where I would be hosting friends and need to buy a huge amount of produce, or if I've got no one to help me out with carrying all the groceries or the weather is terrible (like the current rainy season), I would definitely get my produce through SGVegetables. It's convenient and hassle free, they've a wider selection compared to their other competitors, prices are pretty much on par with supermarkets and I find the produce sent to be of pretty good quality. Besides all of the awesome reasons why you should check out SGVegetables, here's another great one! Thanks to SGVegetables, Hello Little Sunshine readers get to enjoy 10% off your orders. Simply key in sgv-litsun when you check out. Do note that it's only for a one-time use for each customer. 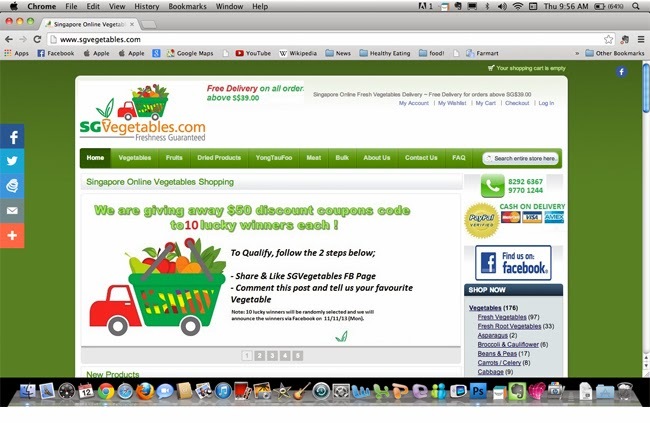 Disclaimer: The shopping experience with SGVegetables was sponsored for the purpose of this review. All opinions and views are my own and was not influenced by any other external factors.